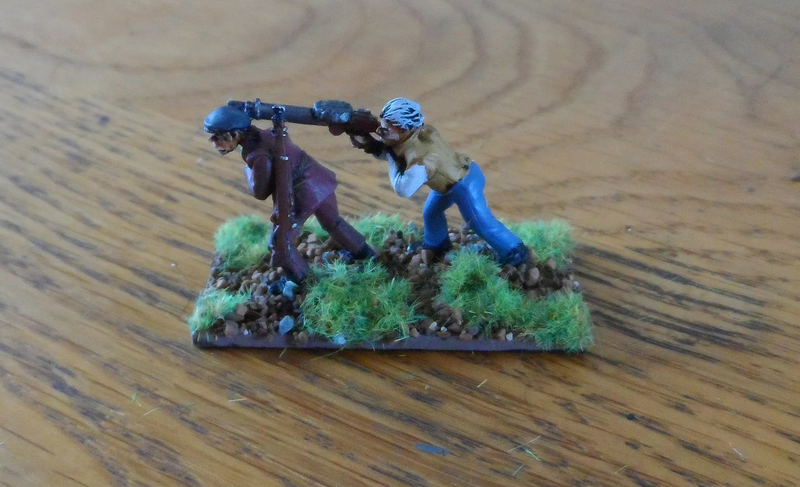 Weaselly Wretches by Mutton Chop Miniatures, available from Empress Miniatures. Nice two man team set. 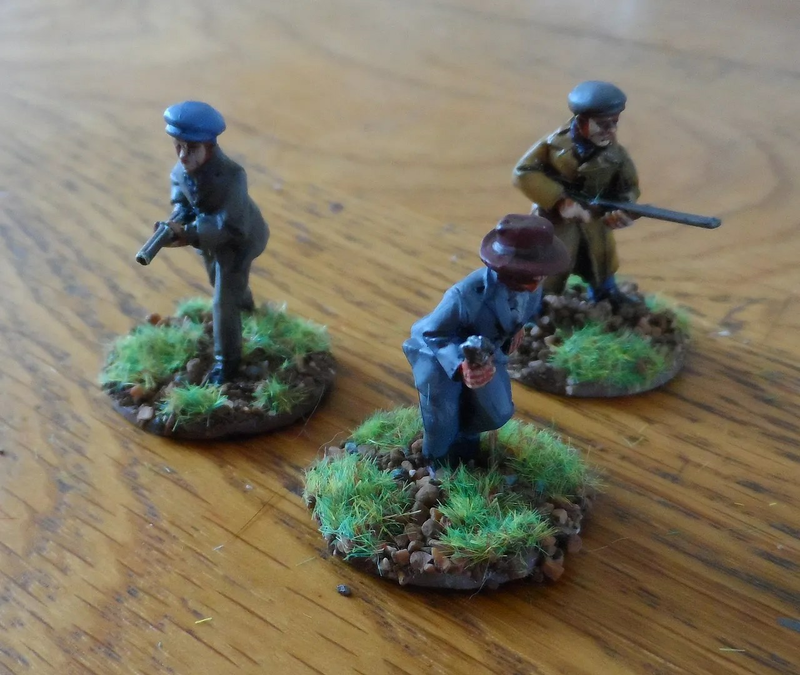 Some of the close combat unit, two shotguns and a pistol toting brigand. 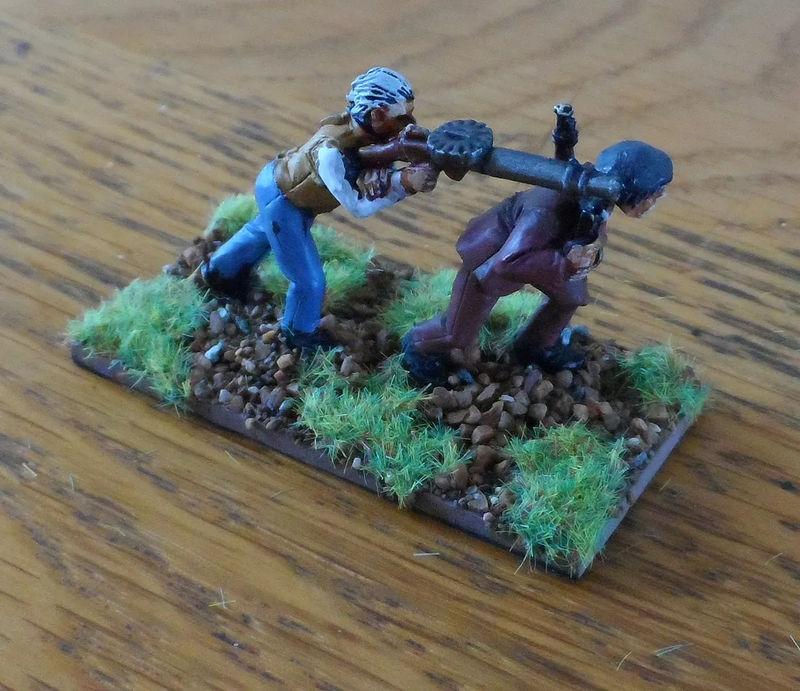 Some more fiflemen – sorry not a good photo.